The venerable hot water bath (or hot tank) dates all the way back to the beginning of the commercial aerosol industry in 1947. 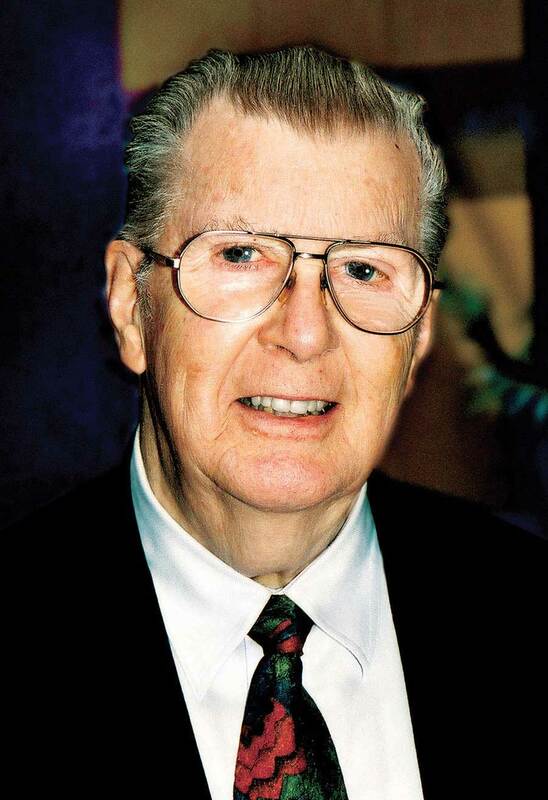 Harry Peterson and other pioneers contacted the Interstate Commerce Commission (ICC—a forerunner of the U.S. Dept. of Transportation [DOT]) to get assurance that the new, lightweight aerosol dispensers could be legally shipped throughout the U.S. ICC advisors, such as Dr. “Bus” Fulton of the Association of American Railroads, became concerned about the ability of the cans to withstand heat during transit without deforming or possibly even bursting. It was suggested that two boxcars filled with aerosols be parked for three days that summer in the Mojave Desert in southern California, with about 200 peripheral cans fitted with thermocouples. The test was completed soon afterward with no cans deformed, and the highest temperature recorded was 126.7°F (52.6°C). A small safety factor was added and this became the basis of the 130°F (54.4°C) testing temperature. At a meeting of the Aerosol Scientific Committee, Chairman Bill Baleu (Bridgeport Brass, Inc.) introduced an executive from the Mojonnier Co., who had brought along a sketch and mechanical drawing of a hot water testing tank. It had two conveyor lanes with magnetic hold-downs and was about 30′ (9.2m) long. Dr. Fulton approved it on behalf of the ICC. 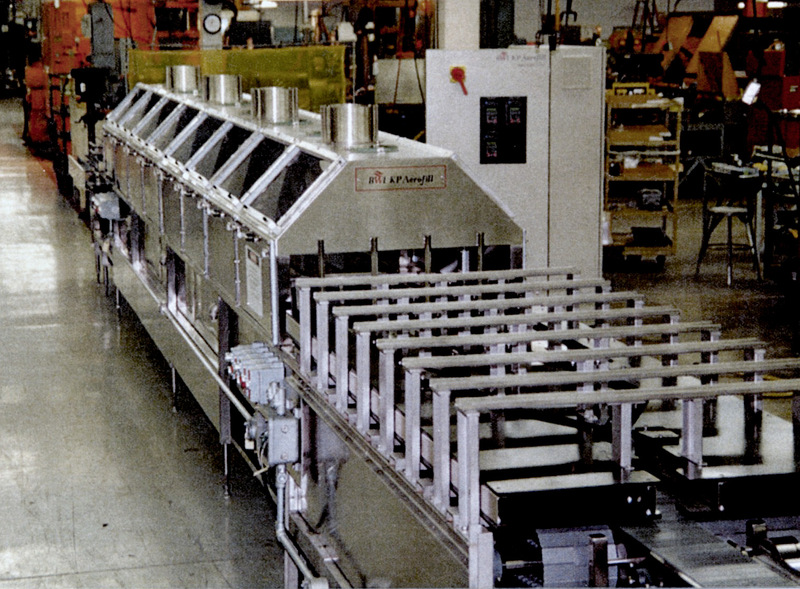 Several early contract fillers used local machine shops to construct versions of the device, adding protective screens, thermostats, multiple hot water inlets, an air drying accessory and some other refinements. Attainment of the 130°F product temperature was confirmed by using short, maximum reading thermometers attached to the valve dip tube by a rubber band. Originally the hot tank was designed to enable the industry to cull out any permanently deformed or exploded cans. However, during those early days about one to three cans per thousand were found to be leakers. In fact, most fillers had a “salvage man” who would collect leakers, store them in a deep freeze, then puncture them to transfer the costly contents into fresh cans that were sealed and put back on the production line. With the advent of water-based formulas and flammable propellants, this practice was discontinued. Leaking cans were collected in small drums at the end of the hot tank. They were then frequently removed to an outside staging area, often for on-site disposal, along with underweight or overweight aerosols and those with dents, marred lithography or other problems. Fortunately, supplier quality today is extremely high; very few defective cans are detected per shift. The European aerosol industry became commercial in 1956. The Dangerous Substances (EEC) Directive that describes pressure testing and pressure resistance of cans states that aerosols must be heated to 122°F (50°C). During the 1990s, the DOT was contacted by the European Aerosol Federation (FEA) and the U.N. concerning the harmonization of its testing regulations with those of Europe, and ultimately the world. They reacted by adding an alternative. Aerosols could be heated to develop their equilibrium pressure to 122°F (50°C), provided the content would not fill more than 95% volume of the dispenser when heated to 130°F (54.4°C). Because of legal and labeling concerns, nearly all U.S. marketers have decided to stay with the original 130°F (54.4°C) regulation, although the energy cost is somewhat higher. As may be anticipated, regulators and the industry have both introduced complexities to the hot tanking process. Certain products that are debilitated by heat are exempted, provided one can in every 2,000 is heated to 130°F without incident. Others that develop pressures as high as 310 psi-g (21.4 bars-g) at 130°F are permitted as aerosols, provided the dispenser carries a pressure-relief fitment. Several Bag-On-Valve (BOV) aerosol products are excused from hot tanking, provided their pressures at ambient temperatures are 100% checked with a can wall deflection device and found to be within a stipulated range. In Germany, the use of rotary machines to determine empty can pressure resistance and filled can seepage rate is approved as an alternative to hot tanking. Regulations related to residence time and seepage rate in hot tanks are under consideration. Plastic aerosols are slowly gaining popularity in the U.S., Europe and Australia and are known in Japan. They will usher in new complexities. The simplest hot tanks are “dip tanks”—shallow tanks containing water at about 134°F (56.7°C. ), into which open mesh trays of several hundred small aerosol cans are immersed for a minute or two. Typical products are metered-dose inhaler (MDI) pharmaceuticals in deep-drawn aluminum #5052 cans ranging from about 16 to 28.5mm in diameter. There is no regulatory requirement to perform this test in the U.S., since the dispensers always have a net capacity well under four fluid ounces (118.3mL). For larger aerosols (up to the 33.8 fluid ounce or one liter limit), the usual hot tank will be a straight line type, with one to four magnetic rails or conveyor lanes. Lengths can vary from about 12 to 30′ (3.7 to 9.2m)—the smallest ones often used on pilot lines. The dispensers are normally fully immersed, but a few fillers adjust the hot water level to cover only about the lower 80% of the can. This satisfies the regulatory heating requirement, but if there are any leaks through the top double seam (tinplate cans only), the crimped seal or through the valve, they will not be detected. The rationale is that the high quality of modern cans and valves is such that leaks in these areas will affect fewer than 0.01% of those cans that pass the usual weight-checker and continue through the hot tank. Since aluminum cans are not affected by magnetic hold-downs, without special arrangements they would fall over on the inclines and also become “floaters.” If they happened to remain near the inlet of very hot make-up water, they could become deformed from excessive internal pressure. One popular solution is to fit a special puck around the bottom of each can. The pucks have a large steel washer in the bottom. The inner wall has a few tangential wing fittings, designed to hold the can firmly, but without marring the surface finish. Pucks are needed for each can diameter. 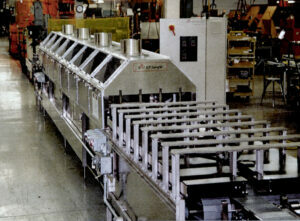 In production, the empty cans are passed through a “pucker” device that attaches the pucks. Later, the finished aerosols go through a “de-pucker” that removes the pucks, after which they are conveyed back to the beginning of the line for recycling. Alternatively, hot water baths can be purchased where plastic clips fasten to aluminum cans and hold them firmly in place as they pass through the water. They do obstruct visual leak detection to some degree and are still there, however unnecessarily, when the hot tank is used for tinplate or steel cans. A variation of the usual water bath is the serpentine type. Here, the immersed cans will be conveyed about 16′ (4.9m) in one direction, then turned and moved in the opposite direction. This is done three or four times. This longer immersion time is a debatable advantage. The typical 80 square foot (7.4 square meter) footprint makes it the largest of all the machines on most aerosol production lines. An advantage to linear and serpentine water baths is that many have given good service for over half a century. Another popular hot tank is the rotary or drum style. Aerosol cans are smoothly fed onto a large cylinder in rows of up to 24 or more. The cylinder then rotates to the next empty row. As it turns, cans are immersed in the hot water that covers almost half the wheel. Any leakers are typically daubed in a colored fluid by the operator so that when they are discharged onto the downstream conveyor belt, they can be quickly identified and discarded. Hot tanks are not without problems. Perhaps the most frequent is a lack of adequate surveillance. Operators are simply not utilized on some filling lines, especially in emerging countries. When they are present, they may be mentally or physically distracted. A gas bubble every three feet (0.92 m.) can equate to a propellant loss of roughly 14 grams per year, yet it will not be detected unless the operator searches the water with a concentrated effort that may be hard to maintain. A recent recommendation has been to change operators every twenty minutes. Essentially, all U.S. hot tanks are fitted with heavy mesh screens or sturdy clear plastic enclosures to protect personnel in the case of a very rare can explosion. Unless they are used in conjunction with an adequate ventilation system, the plastic may become coated with water condensate droplets and rivulets, frustrating any attempts at detection of leaks other than major ones called gushers or geysers. A ventilation system is a good idea for a number of reasons. If a number of cans were to discharge potentially dangerous amounts of flammable propellant (extremely rare), the system would safely remove it. Secondly, the refuse drum or box near the end of many hot tanks may contain various numbers of leaking dispensers, and these could build up a potentially explosive gas-air mixture. If the hot tank has an exhaust system, it is a simple procedure to install a 4″ (100mm) diameter duct, with an “elephant trunk” and plastic standpipe that will go to the bottom of the waste container and remove any dangerous gas content. Over the years, several massive hot tank explosions have taken place, usually due to thermostat failure and serious overheating. It is not uncommon for the explosive or brisance effect from one can to cause dozens or even hundreds of surrounding cans to also explode. In one case, many years ago, such an event tore the bottom out of a large hot tank and caused one end to rip through the ceiling of the production room. In another incident, the concentrate valve of an aerosol paint production line was shut off for the lunch break, but not turned back on when production was resumed. The cans went into the hot tank containing only the high pressure (A-85) hydrocarbon propellant. Massive explosions resulted and the hot tank was ruined. One time, the marketer of an anhydrous hair spray set his hot tank at 152°F (66.7°C) on the premise that the company was giving customers an added modicum of safety. After several years with no problems, an operator noticed a can that was profusely leaking at the side seam. She gripped it with a pair of tongs to remove it from the tank, but it burst, causing a jagged corner of the can body to produce a 10″ slash in her forearm. 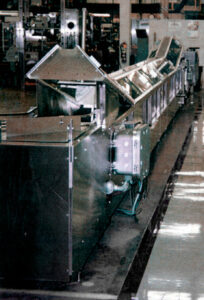 Another time, a link in the conveyor belt of a hot water bath separated, causing cans to stop moving. About 100 of those in front of the hot water inlet became deformed as a consequence of bottom reversal. An electrical outage would have produced the same result if very hot inlet water continued to flow into the central portion of the tank. In this case, the marketer installed fairly small water tanks above the hot tanks, fitting each of them with a down-pipe and solenoid valve. In an emergency, the tanks would dump “dousing water” into the hot tank. Hot water baths should not be shut down when filled with cans. On the same basis they should always be followed by a covered air-blast station to remove water from the valve cup and cans, and then by an accumulating table. 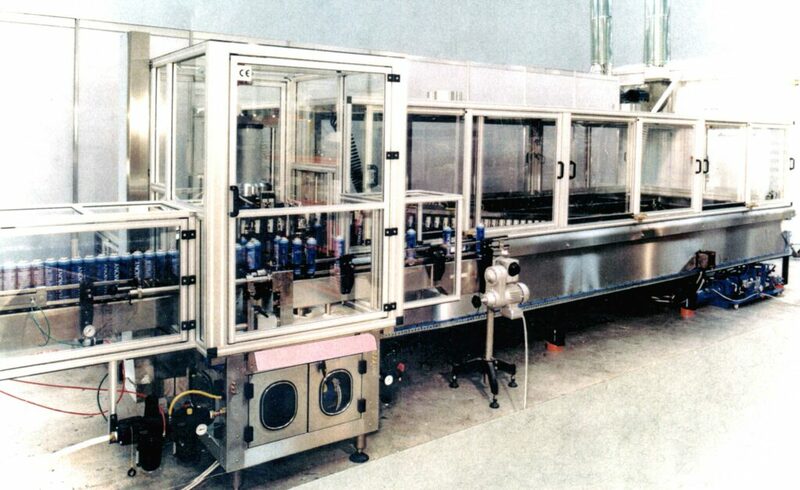 The table should be kept fairly empty so that if a downstream problem were to occur, the cans in the hot tank could be smoothly discharged onto the accumulating table, thus preventing overheating. In addition to the thermostat, good engineering would suggest the installation of an excess temperature cut-off device. Some hot tanks are equipped with large dial or digital thermometers. If not, the water temperature can be statistically checked using the usual bi-metallic portable thermometers with 1.5″ (38mm) diameter dials. Traces of residual water may remain in can/valve crevices, even though the dispensers are air-blasted and allowed a fair amount of time for evaporation. The rust discoloration that may follow on tinplate or steel surfaces can be avoided if the hot tank is kept at about 0.08% levels with corrosion inhibitors. Typically, five gallon (18.92 liters) quantities of either 40% sodium nitrite or 35% sodium benzoate solutions are added at intervals. The amount will depend on the rate at which fresh water is added—or waste water is discharged through standpipes. (Note: The sodium nitrite level can be quickly checked using a standardized potassium permanganate solution. It will be totally decolorized if an adequate amount of sodium nitrite is still present in the tank). Hot tanks that contain hard water and/or corrosion inhibitors can leave small water droplets on cans. When these evaporate, tiny white spots can be seen, especially on darker lithographed surfaces. By adding as little as 0.015% sodium hexametaphosphate to the water, a streaming drainage action develops that eliminates these droplets. Critics of the hot water bath point to its very large size, water and energy consumption, safety issues, inadequacy to test leakage of heat-sensitive products, issues with manual leak detection and so forth as meriting a paradigmic transition to alternative technologies. In the U.S. the DOT has approved special exemption petitions where BOV nitrosols can be checked for proper pressure by a device that measures the minute deflection of the can body wall when a horizontal force is applied. Deflections are compared with those of a same specification can containing a known pressure. Such lines can avoid the use of a hot tank, although most will have a small one (usually a drum type) for leak detection and a final rinse. In Europe, a different regimen has emerged. 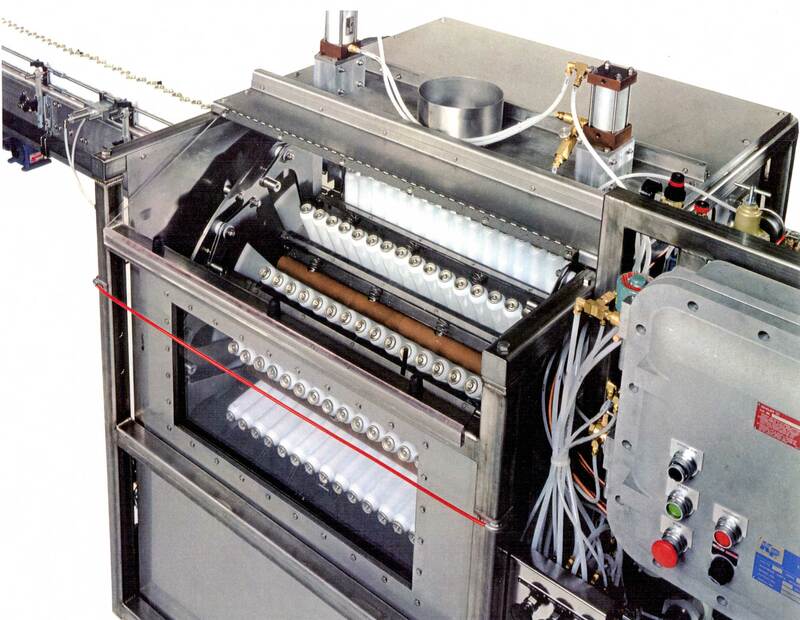 Empty cans are tested on a rotary machine to at least 67% of their design pressure to ensure that they do not deform when filled or leak at a rate of less than 0.033 mbar.liter/sec. Filled cans must be check-weighed so that overfilled cans can be rejected. Finally, another rotary machine is used to briefly enclose all filled cans and reject those that leak at a rate greater than 0.002 mbar.liter/sec. at 68°F (20°C). These steps are required by the road transportation agency Accord European Relatif le Transport International of Dangereuses por Route (ADR), whether the aerosols are hot tanked or tested by alternative means. The criteria established by the ADR (2007 Section 6.2.4.3.2.2) have been presented to the U.N. Sub-committee of Experts on the Transport of Dangerous Goods. They have supported the regimen, noting that a micro-leak detector would be required on the filling line to assure 100% inspection. These devices, which cost about $10,000, would have to be installed on every line (they are available from Pamasol and other equipment suppliers). While these detectors would work for hydrocarbon detection, provided the air between the water level and sensors is tranquil and not ventilated, it is doubtful that they would work for non-flammable HFC-134a and HFO-1234ze(E), or for water soluble propellants like carbon dioxide and dimethyl ether. They would certainly not work for aerosols pressurized with nitrogen, argon or compressed air. Through the efforts of the FEA, the EEC Aerosol Dispenser Directive (75/324) has been modified through its Adaptation for Technical Progress (ATP) 2008/47/EC to permit “alternative methods” to hot tanking aerosols. In effect, these documents support the production of aerosols with alternates to hot tanking and their transportation to all EU countries in dispensers carrying the reversed epsilon. The U.S. DOT has now been approached to adopt equivalent regulations in the interest of global harmonization. In the U.S., serious questions have been raised regarding the maximum leakage rates, such as 0.002 mbar.liter/sec. This standard, while scientifically correct, must be converted to more easily understandable terms to be more useful. The first conversion is that it connotes a seepage rate that would raise the pressure in a one liter container by 0.000002 atmosphere per second. (1.00 bar equals 14.5 psi-gor the average pressure of 1.00 atmosphere at an altitude of about 400 feet.) Considering a 1.00mL container, the pressure gain would be 0.002 atmosphere per second. Similarly, a theoretical 0.002mL container would be pressurized to 1.00 atmosphere—or the gas pressure inside a propellant bubble. This equates to a 0.126mm cube, equal in volume to a 0.134mm diameter bubble. For a hot water bath moving aerosols at 6″ (152mm) per second, one gas bubble 0.134mm or 0.0053″ in diameter would have to be detected every 6″. If a bubble escaped once every 24″ (608mm), at the same seepage rate it would be equal in volume to a 0.200mm cube or a 0.248mm (0.0098″) diameter sphere. Similar calculations can be made to clarify the maximum allowable seepage rate for empty cans in the pressure tester; i.e 0.033 mbar.liter/sec. It is very doubtful if visual observation in hot tanks could reliably detect seepage rates as low as the 0.002 mbar.liter/sec. limit now imposed in Europe. In a specific test conducted recently, only about 8.4 cans per million were found to be leakers. All were slow leakers, passed by a weigh-checker. Considering there are up to 60,000 cans per truckload, that would equate to about one leaker or less in every two truckloads, if not detected in the hot tank or by alternative processes. This is far less than the leakage needed to produce any significant hazard, regardless of propellant selection. The superb transport safety record of U.S. aerosols supports this conclusion, especially since, of the billions of dispensers produced and shipped each year, it is inevitable that some will have been undetected slow leakers.